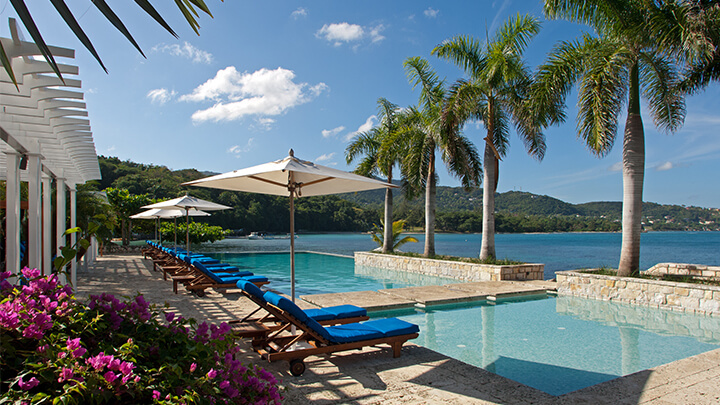 Carlisle Bay, located on the south coast of the island of Antigua, is the perfect option for a luxury family holiday. There are several excellent accommodation options such as the Beach Terrace or Beach Balcony Suites. Every room has a private balcony or terrace and many lead directly onto the superb stretch of beach! Another huge positive for families with young children is that meal times are made easy. The hotel will serve an early dinner for children so as to not disrupt the routine too much even though you are on holiday! 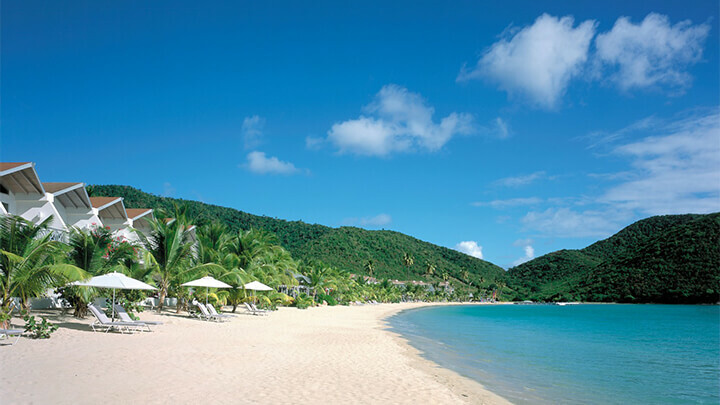 Sugar Beach is one of our favourite family options on Saint Lucia. Firstly with its magical position in between the towering Pitons and a glorious stretch of white sand beach, it really is quite special. 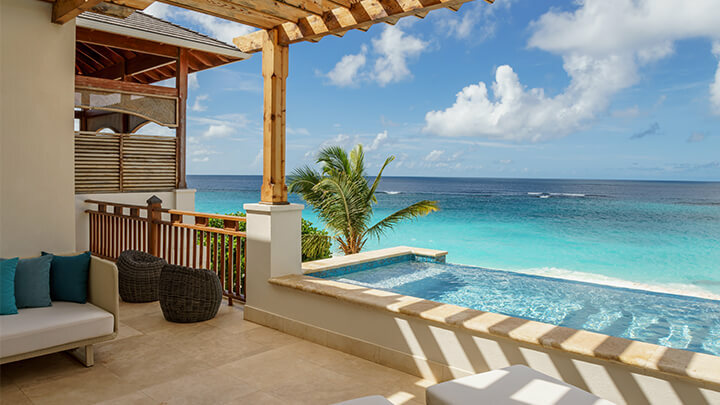 All of the rooms here have private plunge pools and are the perfect fit if you wish to travel with the whole family (aunties and uncles welcome!) with everything from smaller rooms for two up to a sprawling Four Bedroom Residence! At Sugar Beach, we love the activities on offer, which the whole family can get involved with, zip lining nearby too there need never be a dull moment! 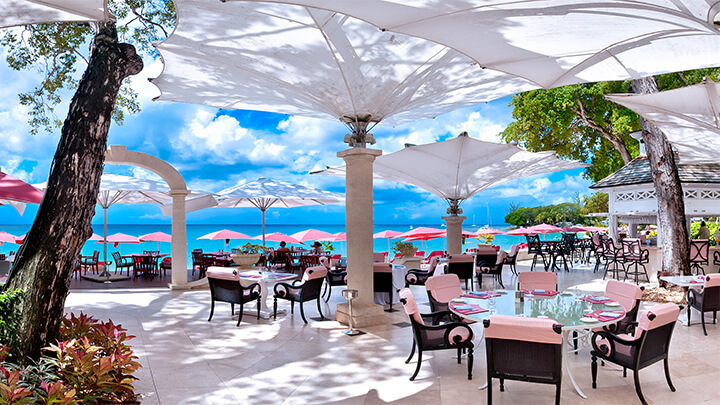 Occupying one of the most desirable locations on Barbados’ Platinum coast, is Sandy Lane. 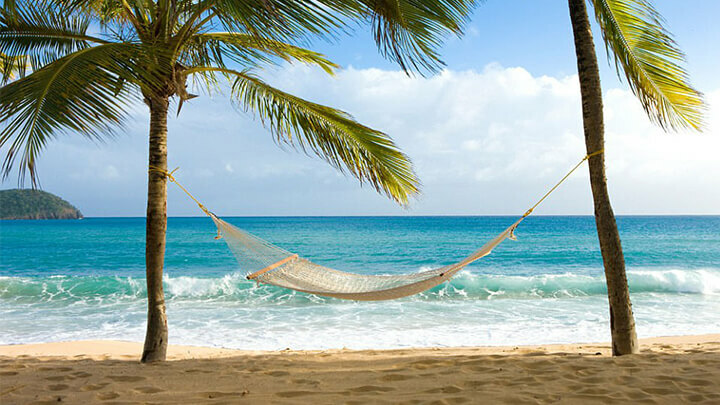 With a picture perfect beach lapped by turquoise waves, the Caribbean doesn’t get much better than this! What we love about this hotel for families is the fantastic kids club. Children are warmly welcomed (from the age of three and up) to The Treehouse Club, and for the teenagers The Den is awesome! Meanwhile for Mummy and Daddy the spa is the perfect place to switch off and relax! 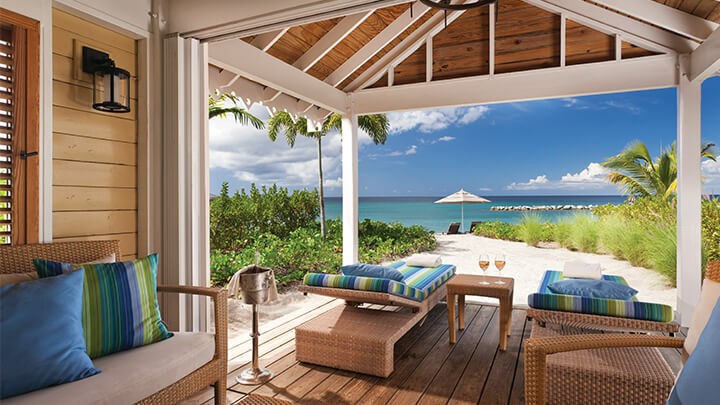 Four Seasons Resort Nevis is set in prime position on Pinney’s Beach on the west coast of Nevis. This tropical oasis really is bursting with things to do… 10 tennis courts, an 18 hole golf course and an array of complimentary non-motorised water sports mean it is a haven for more active guests. The Turquoise highlight is the turtle conservation programme, established in 2006 they have tagged 21 turtles including one called Ginger. Since they first opened their doors in 1960, this family owned resort is loved by all who visit it. Blue Waters is set up perfectly for large family groups with Cove Suite Penthouses and a selection of villas. The resort is set in beautiful tropical gardens with seven swimming pools, providing lots of open space for families to spread out and find their own spot. Our favourite family room is the Cove Suite, which can accommodate two adults and two children 11 years and under! 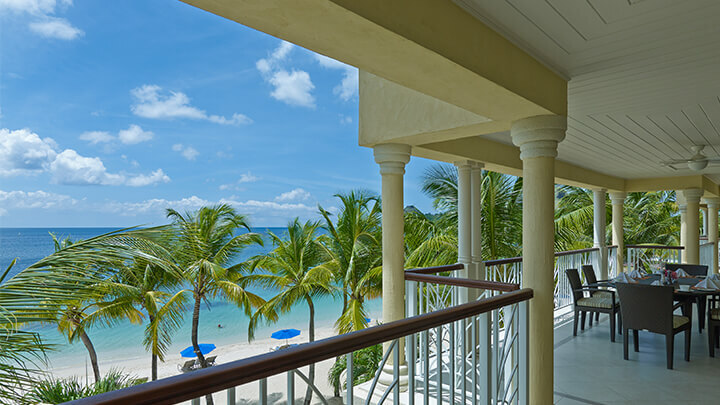 The Landings in Saint Lucia really is a family favourite. With 1,2 or 3 bedroom villa suites all with fully fitted kitchens, they are ideal for families with young children or babies who want the facility to cater for themselves during their holiday. The beautiful stretch of beach with gently lapping sea, perfect for little feet to paddle in, is luxury island living at its best! 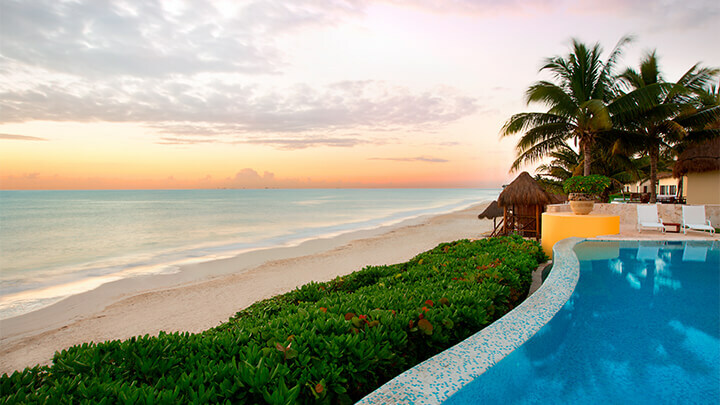 Situated in 240 acres of tropical forest and crystal clear waterways, is the fantastic Fairmont Mayakoba. This large resort, which offers guaranteed interconnecting rooms for families, has heaps of facilities for the family including 5 swimming pools, waterslides, nature trails, tennis and golf just to name a few! Families with very young children will receive a complimentary amenity kits for babies and tots including no-tears hair wash, cleansing soap and much more… so packing can be kept to a minimum! 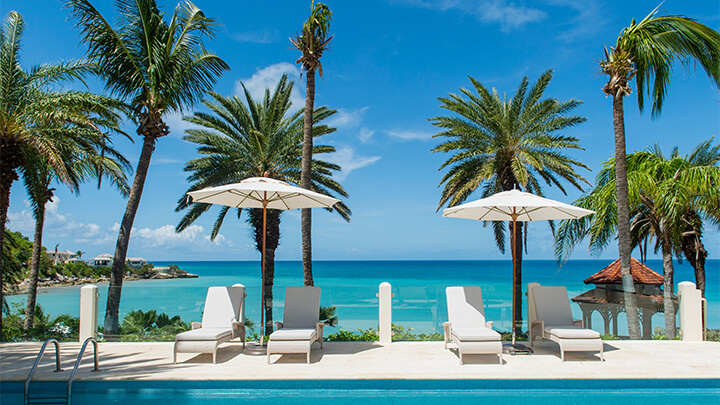 Located in the heart of trendy Shoal Bay East on a half mile long beach, Zemi Beach House is perfectly positioned. Choose from a 2 or 3 bedroom suite for plenty of comfort and space. 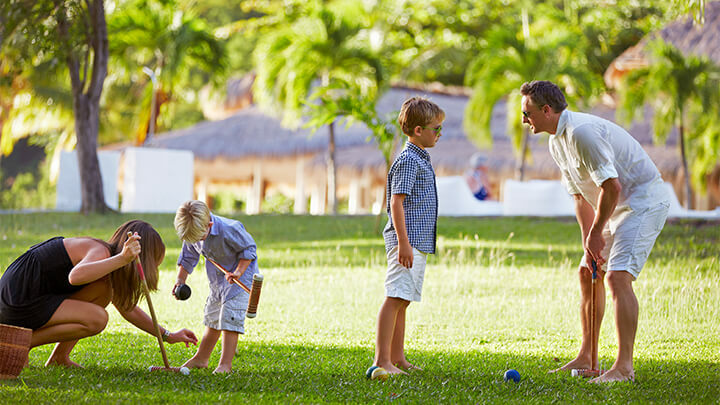 What we particularly love about Zemi Beach House is the activities available for kids. Your little ones can enjoy a movie night while parents can enjoy a child free dinner, heaven! Or join in with them for some coconut bowling, scavenger hunts and animal bingo! Perched on a rocky peninsular over looking two beaches, this all inclusive property is an excellent option for active families. You really can be as energetic as you want, sit back and enjoy one of the beautiful beaches with a cocktail in hand or take part in diving, windsurfing, tennis and much more before relaxing in your spacious, recently refurbished room, many of which interconnect. Feeling inspired? Get in touch with a Caribbean specialist today to start planning your next family holiday!